The transition to USB Type-C (USB-C) connectors is well underway across industry segments. The capability of simultaneous transfer of data and video combined with fast charging is leading the adoption of USB-C in smartphones, laptops and vehicles. Devices that have at least one USB Type-C port is forecast to reach nearly five billion devices in 2021, up from 300 million devices in 2016, growing at a five-year compound annual growth rate (CAGR) of more than 70 percent, according to the latest research from IHS Markit. The biggest adopters, by shipments, in 2017 are mobile phones, mobile PCs, flash drives, media tablets and docking stations. 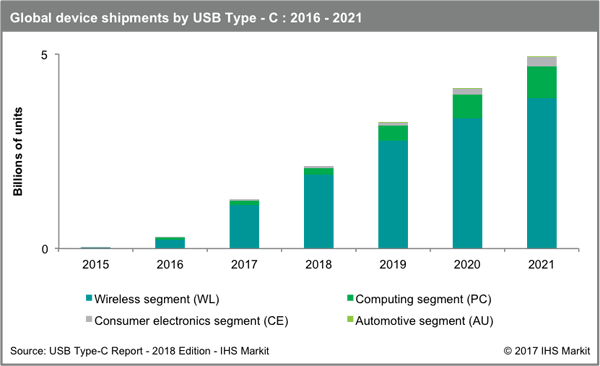 IHS forecasts the USB-C connector market to reach nearly $1.2 billion in 2021, growing at a CAGR of 30 percent. 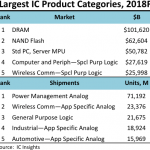 The wireless and computing (PC) segments are expected to remain the two biggest adopters of USB-C through 2021, followed by consumer electronics and automobiles. Available through many connector manufacturers including Amphenol, FCI, Hirose, Molex, and TE Connectivity, along with their distributor partners, the USB Type-C connector is the latest USB interface that delivers a couple of unique features. One is that it is reversible. This means the connector will work in either orientation, eliminating an annoyance for many consumers. Another key benefit is that the USB-C simultaneously supports data transfer, USB Power Delivery as well as multiple video and audio interfaces through Alternate Mode (Alt-Mode) protocols. Alternate Mode allows the connectors to be used with video interfaces like HDMI and DisplayPort for an “all-in-one” cable solution. USB Type-C ports enabled with DisplayPort can deliver high-speed data and video as well as power over a single cable. 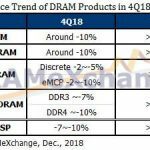 DisplayPort will remain the most popular USB-C Alt-Mode interface used by device makers, growing from 15 million units in 2016 to 1 billion units in 2021, growing at a five-year CAGR of 129 percent. 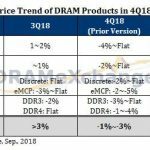 In its native form HDMI is expected to be the most popular wired interface technology used to transfer video, but HDMI Alt-Mode is still at the early adoption stage and is not forecast to reach consumer electronics devices until the middle of 2018. The early adopters: digital-still cameras and video cameras. Although Thunderbolt is the fastest data interface technology, with speeds up to 40 gigabits per second (Gb/s), Thunderbolt in the Alt-Mode format will likely remain a niche market, focused mainly on the computing segment, according to IHS Markit. 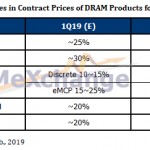 Currently, the biggest challenge hampering USB-C adoption is the additional cost of semiconductor content compared to an interface IC required for a traditional USB Type-A or USB Type-B port, said Akhtar. IHS forecasts the global market for semiconductor ICs used in USB-C solutions will reach $3 billion, growing at a CAGR of 107 percent in the next five years. 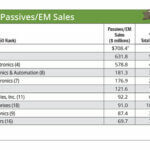 This indicates significant growth opportunities for semiconductor manufacturers over the next several years. 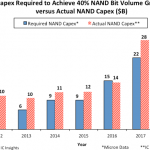 But new USB-C components, including variations that expand the target applications like Amphenol’s ruggedized Type-C connector for commercial applications and semiconductors are needed to fuel adoption. Semiconductor manufacturers like Cypress, Texas Instruments, STMicroelectronics and Intersil are well on their way and are developing new ICs to support the growing USB-C interface market. Earlier this year, Cypress Semiconductor launched the industry’s first complete solution for USB-C to native HDMI connections without adapters or converters. Based on Cypress EZ-PD USB-C controllers, which supports HDMI Alternate Mode, the solution allows next-generation laptops, smartphones, tablets, digital cameras and other HDMI-enabled sources with USB-C connectors to connect directly to HDMI-enabled displays, including HD and 4K televisions, using only a USB-C to HDMI cable. Later in the year, Texas Instruments introduced two single-chip buck-boost battery charge controllers that support USB Type-C and USB Power Delivery. The USB Power Delivery compatibility offers an input voltage range from 3.5 V to 24 V, which designers can use in multiple ports including USB 2.0, USB 3.0 as well as USB Type-C. Aimed at one- to four-cell (1S to 4S) designs, the bq25703A and bq25700A synchronous charge controllers target applications such as notebooks, tablets, power banks, drones, and smart home devices. Here’s more info on TI’s USB Type-C ecosystem. STMicroelectronics introduced two new USB Type-C port-controller ICs with built-in protection. The STUSB4710 DFP controller targets power-source applications such as AC adapters and power supplies, power hubs, docking stations, smart plugs, and displays, while the STUSB1602 manages USB Type-C ports in power sources or devices. Evaluation boards are available for both parts. In October, Intersil claimed the industry’s first USB-C buck-boost voltage regulator. The single-chip ISL95338 replaces two converters – cutting your bill of materials in half for voltage regulation - and enables USB Power Delivery bidirectional voltage regulation for tablets, ultrabooks and power banks. Intersil said the multiple ISL95338 ICs can be combined with the ISL95521A combo battery charger or ISL9238 buck-boost battery charger to enable simultaneous multiport USB-C charging. The ISL95338 can also be used with the R9A02G011 USB PD controller and RAJ240045 fuel gauge IC for a complete USB-C power delivery solution. As semiconductor manufacturers introduce new controller and regulator ICs OEM designers will be able to develop smaller products with faster battery charging. 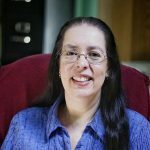 "The new ISL95338 USB-C buck-boost voltage regulator allows our customers to implement new product designs with much smaller form factors, faster battery charging and remarkably longer battery life," said Andrew Cowell, vice president of Intersil's Battery & Optical Systems products, in a statement. "Mobile computing customers count on Intersil's battery charging and power management innovations to create their next generation, highly differentiated products."